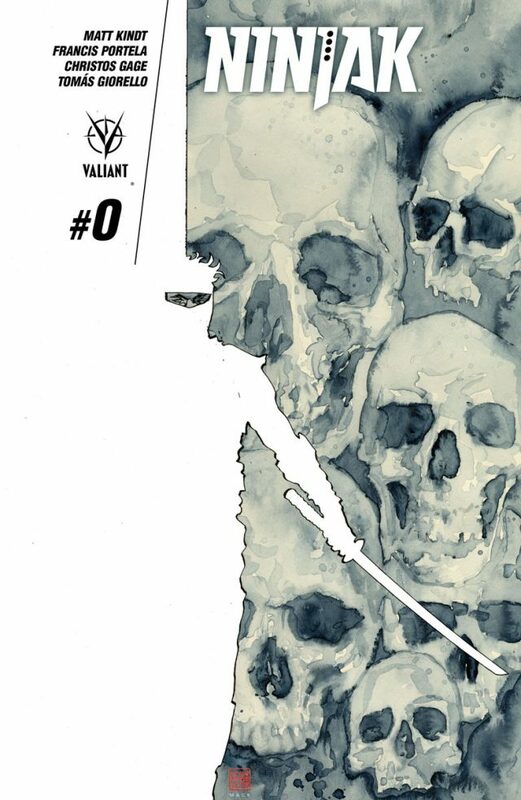 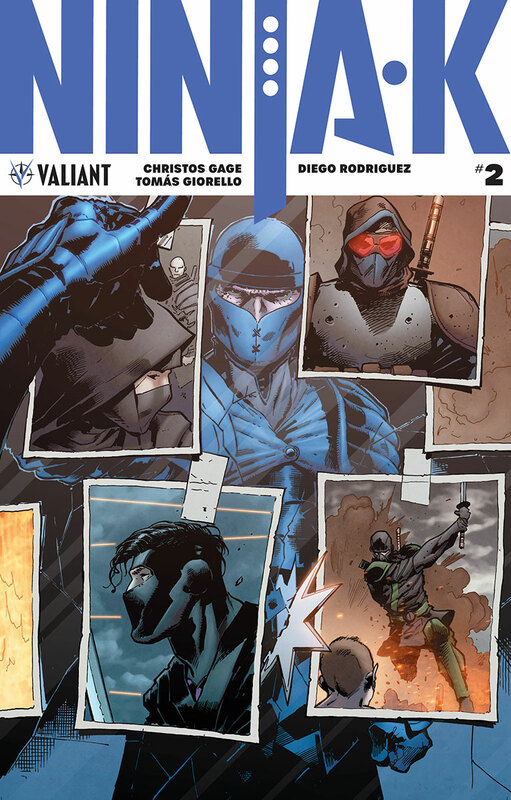 Valiant is proud to present your first look at NINJA-K #2 – the next adrenaline-fueled issue of the EXPLOSIVE NEW ONGOING SERIES charging out of Valiant’s “ICONS” initiative! 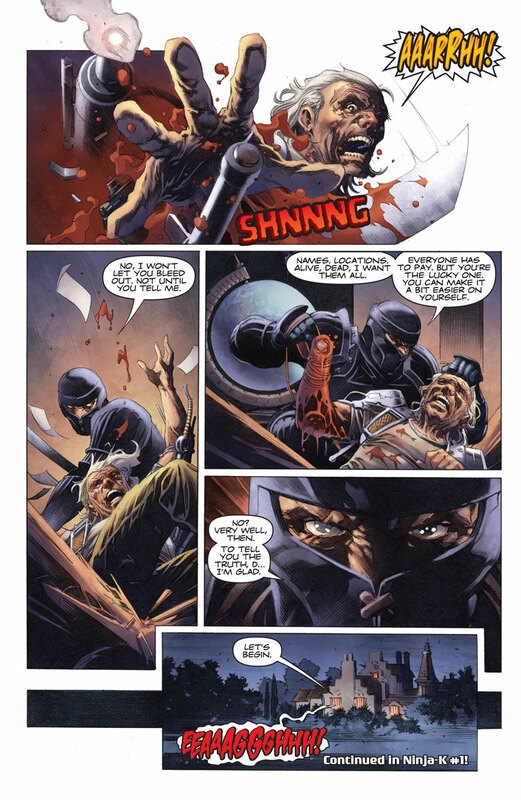 On December 20th, renowned writer Christos Gage (Netflix’s Daredevil) and Valiant’s latest superstar artist, Tomás Giorello (X-O MANOWAR), dive deep into the top-secret archives of the black-budget spy network that initiated Colin King into the Ninja Programme…and ignite a global manhunt for the relentless killer bent on eliminating all of Her Majesty’s ninja super-spies, past and present! 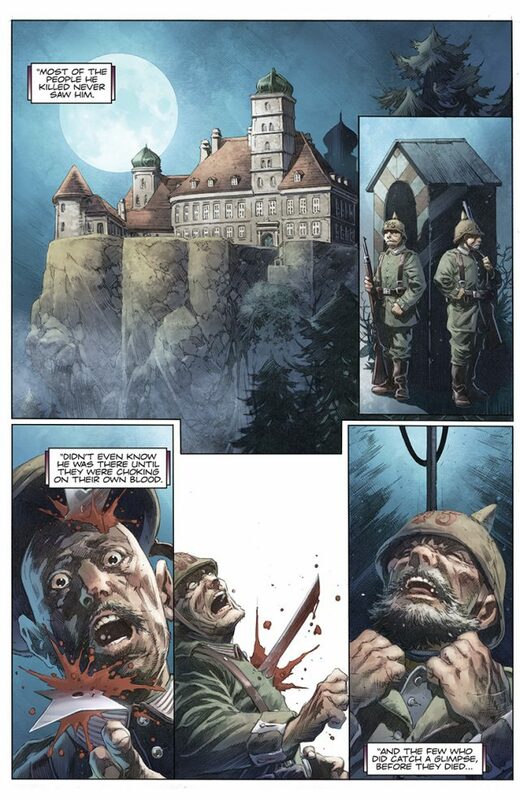 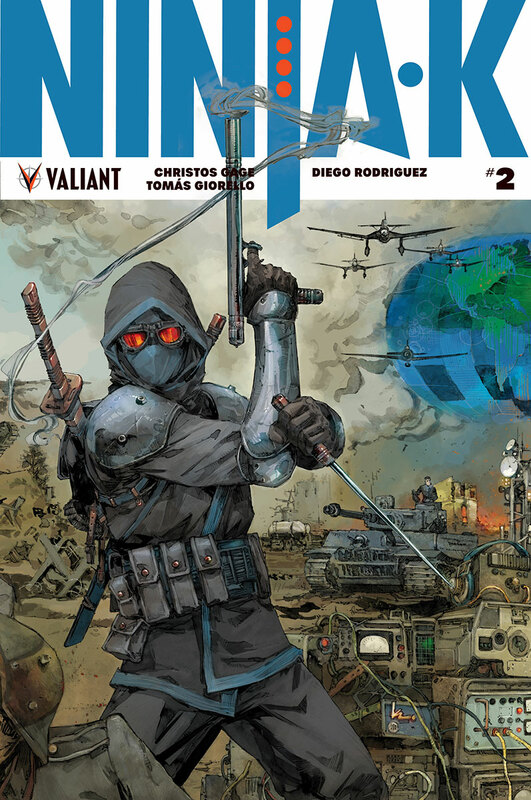 High-octane storytellers Christos Gage and Tomás Giorello bring the walls of history crashing down around Valiant’s deadliest international operative, as Valiant’s next essential new ongoing series dares onward in NINJA-K #2 – featuring covers by Trevor Hairsine (DIVINITY), rising star Lucas Troya, Kenneth Rocafort (The Ultimates), and Ben Templesmith (30 Days of Night)! 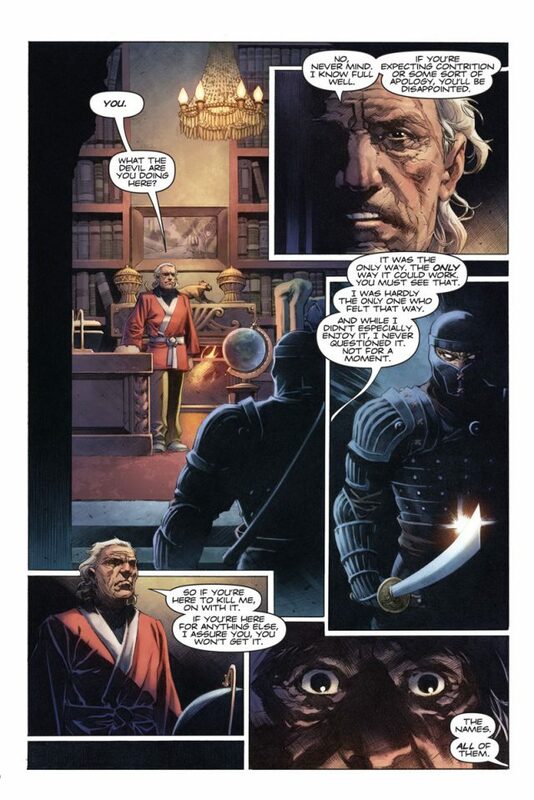 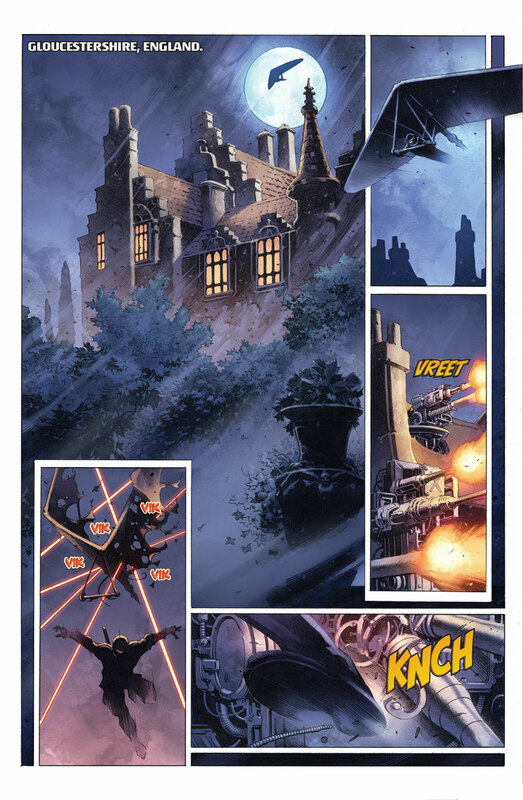 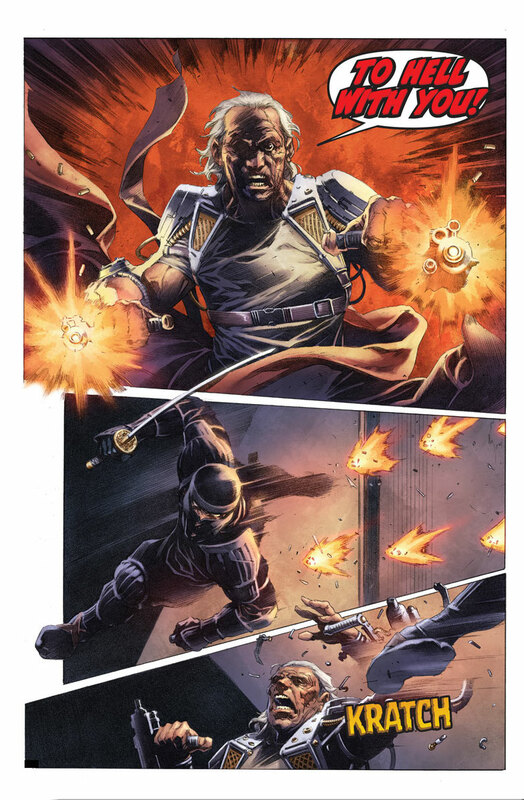 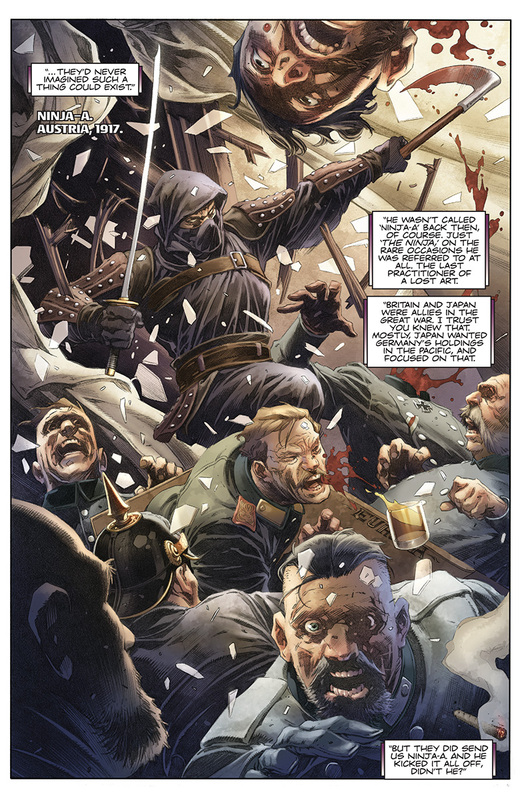 PLUS: Get your first taste of Colin King’s new assignment with an EXCLUSIVE PRELUDE TO NINJA-K #1, available only in NINJAK #0 – in comic shops everywhere today! 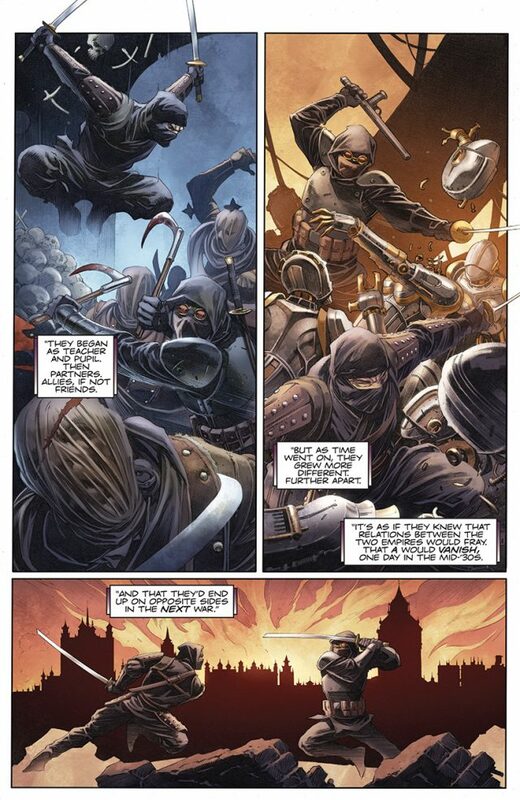 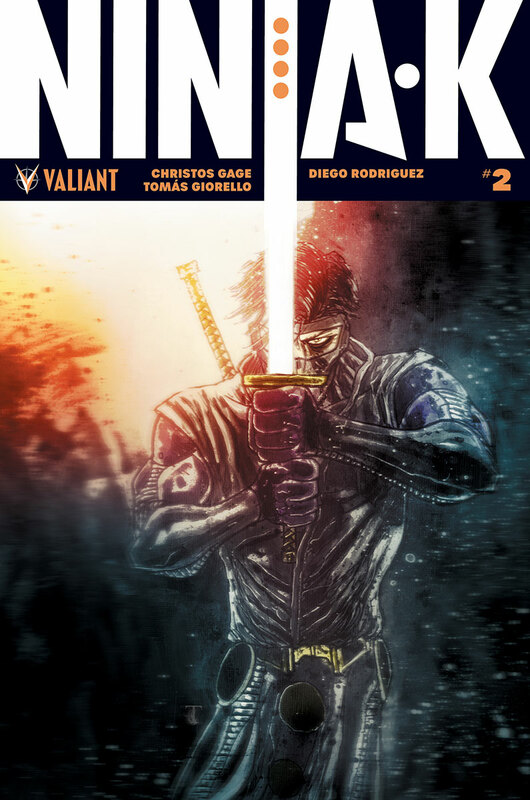 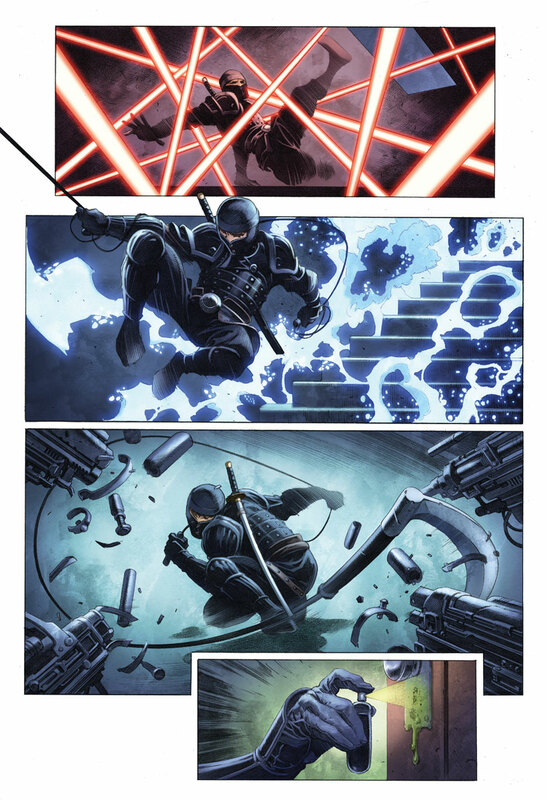 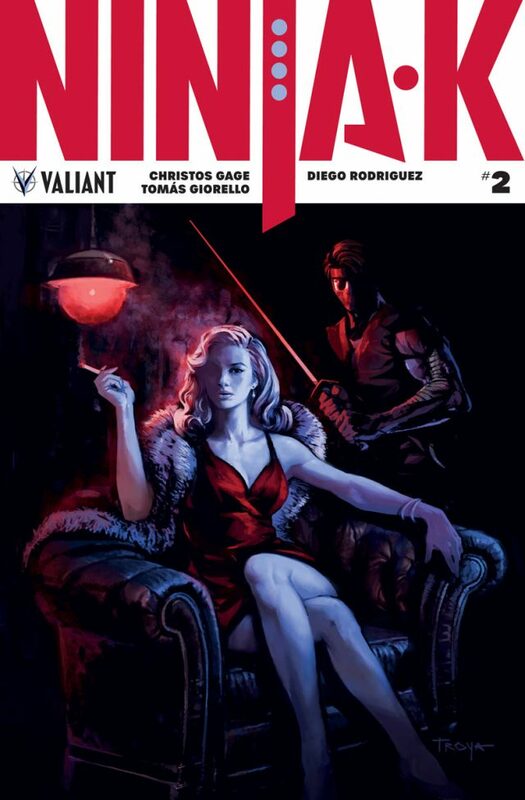 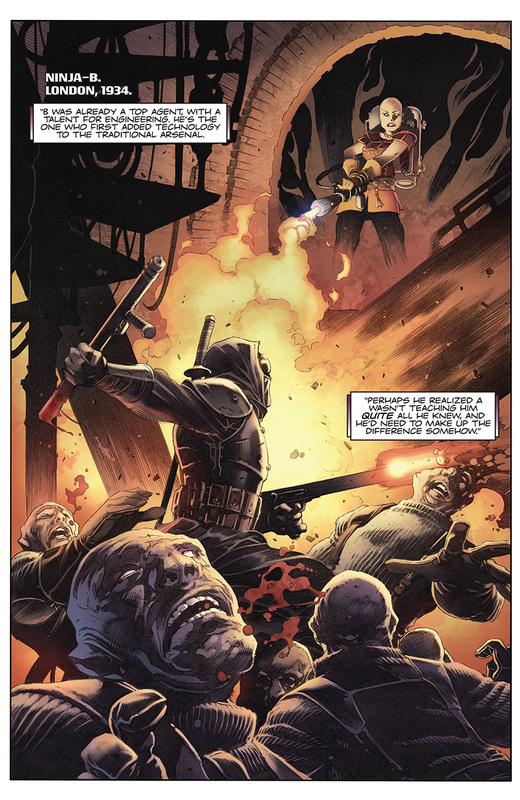 Before NINJA-K #1 slashes its way into stores on November 15th, follow the impeccably precise killer at the center of the Ninja Programme’s century-old regiment of sabotage and subterfuge with an essential introduction to the winter’s most anticipated new series from writer Christos Gage and artist Tomás Giorello! 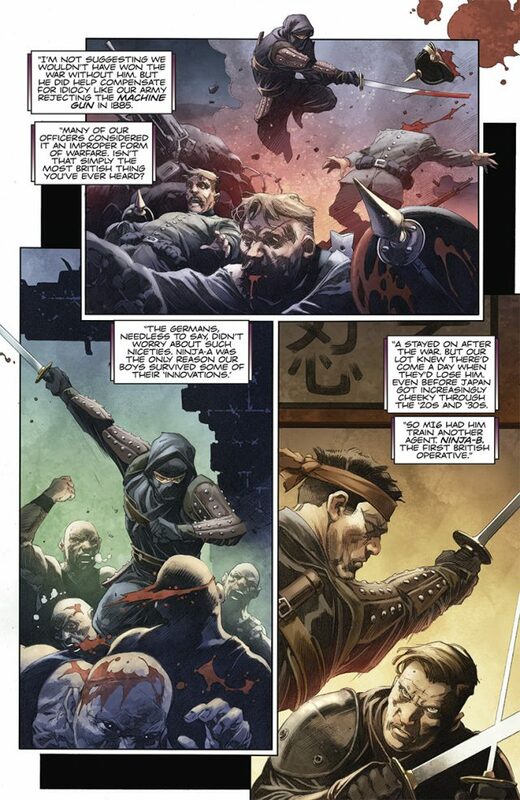 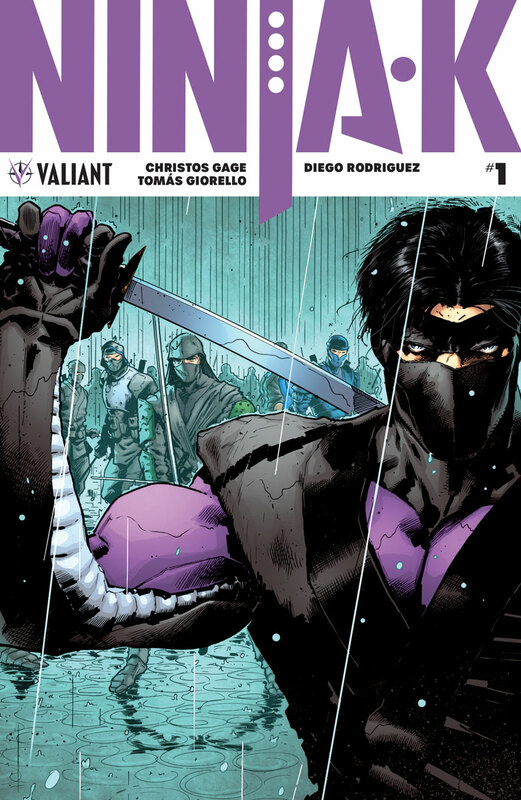 THEN: Ninjak’s deadliest mission yet begins on November 15th in NINJA-K #1 – the FIRST ISSUE of the all-new series launching Colin King into the fight of his life!